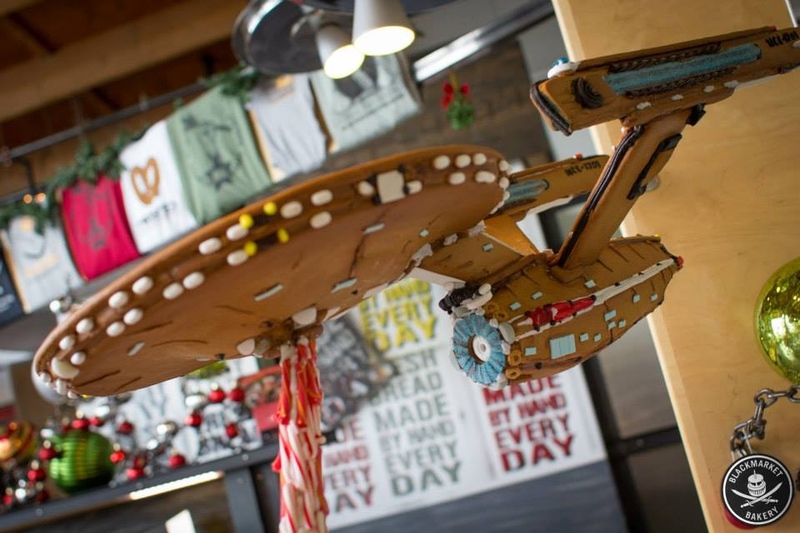 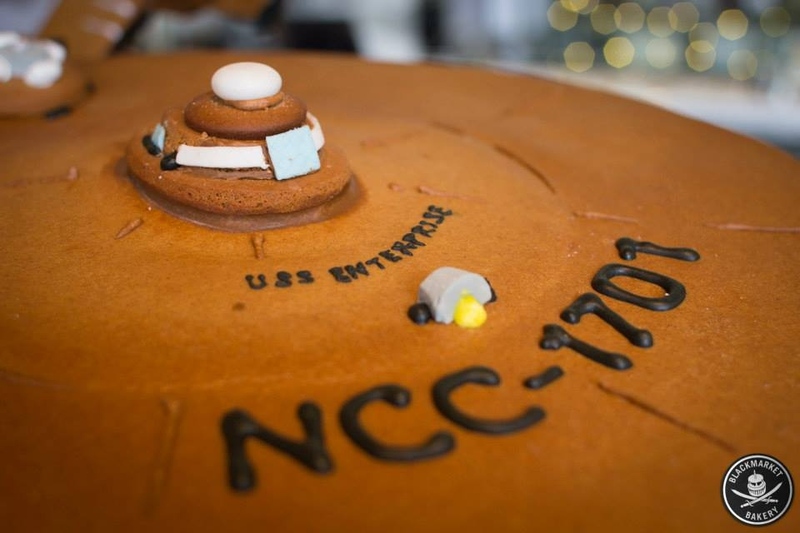 The Blackmarket Bakery has created what I am calling the Enterprise G, a delicious and amazing Starship Enterprise made of Gingerbread. They have made it the center of their Christmas decorations at their California store and it is easy to see why. 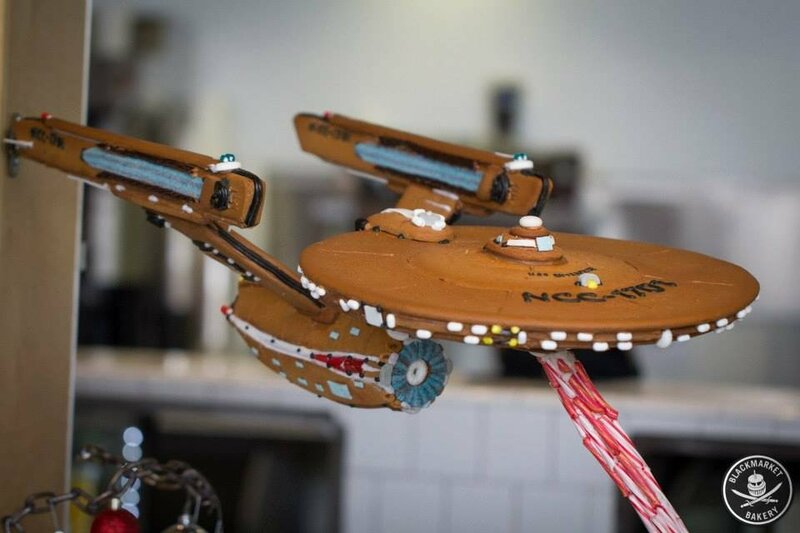 Not only is it a gingerbread Enterprise, but it is amazingly detailed as well. 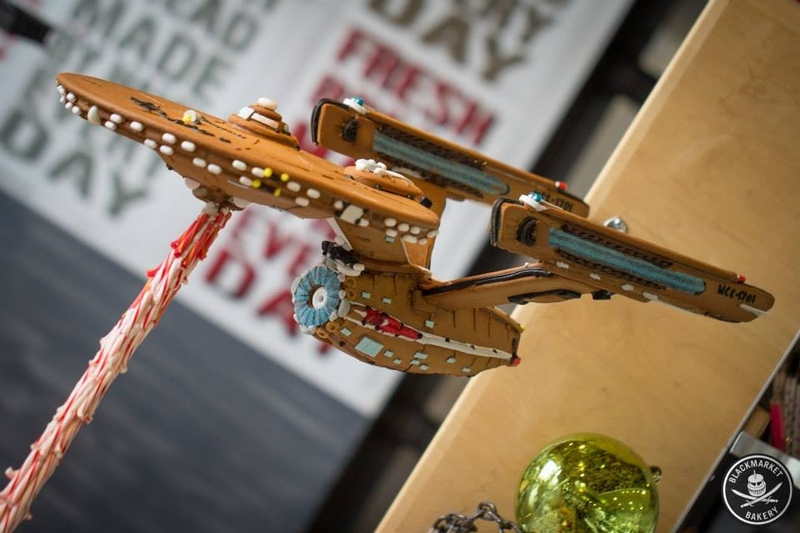 It even fires a candy-cane phaser beam at the landscape below, which also acts as a support for the ship. 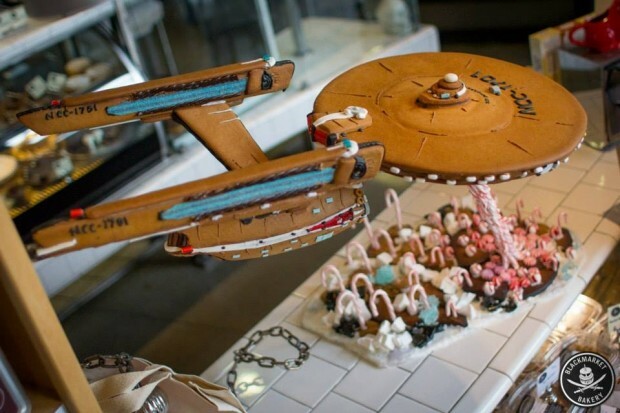 I could never eat such a beautiful starship, but I would be very tempted.